Mobile application development is a hot field at the moment. Be it the engineers who wish to establish their careers in the field of app development to the app development agencies, there is good scope for everyone. However, in the midst of huge number of app development projects, how to make sure that your app shines bright? The steep competition has also given rise to the need of innovating, intriguing and different applications. Hence, the app developers have to stay abreast with the new trends in order to make ideal apps for the present generation, and to make the apps as unique as possible. And, here comes the role of implementation of new age technologies like Artificial Intelligence, big data analytics, machine learning IoT etc. However, Artificial Intelligence has a bigger role to play when it comes to making innovative apps for the present generation. How is Artificial Intelligence helping the developers make mind-blowing apps? Artificial Intelligence is turning out to be extremely beneficial for the app developers. When it comes to the implementation of AI mobile application, it is surely one of the hottest in the market the moment. Artificial Intelligence is a vital part of Computer Science where computers are made in a way that will help them to perform intelligent activities or rectify issues which are generally done by humans. Artificial Intelligence tools are presently developed a variety of top tools and program, and many of such programs are specially made to make process of app development better. Artificial application software development is surely going to be a top trend. Why should you implement AI in mobile app development? Artificial Intelligence has over the period of time proven to be extremely useful for a host of mobile apps particularly in terms of improving the user engagement as well as boosting the business growth. A normal and static algorithm are no longer the only ways to improve app development process. In fact, AI is helping the experts to steer the user engagement centered on the user behavior as well as the response patterns. Every mobile which is AI-based tends to draw high volume user data, and by analytically examining the user information as well as the behavioral pattern they help in rectifying a host of significant issues. When it comes to the demographic information that majorly attains all the information from various layers like the interest of the audience, user location, purchasing patterns, etc., it can evidently be immensely valuable to draw useful insights about the user. Also, Artificial Intelligence aids the mobile application to serve the users in a better way. Majorly of the tasks fall under the umbrella of predictive analysis or reasoning. Artificial Intelligence days is mostly integrated with modern items these days. Starting from the AI-based QR code which are aimed to help quickly link the respective user data as well as offer high quality data-centric insights to make use of, there is a lot that AI is capable of doing. AI basically helps in integrating the automated reasoning to logically rectify major issues for instance, a host of mobile apps capitalize on the automated reasoning process in order to optimize the functions of the app. The AI based mobile app takes a great volume of bits of data from a host of resources and the users who have used the app to make it better. All this is categorized into predictive analysis or reasoning. Predictive analytics is helping the experts to explore a host of innovative ways to make full use of the Artificial intelligence. They are aimed at making topnotch apps by using the information generated through predictive reasoning and analysis. 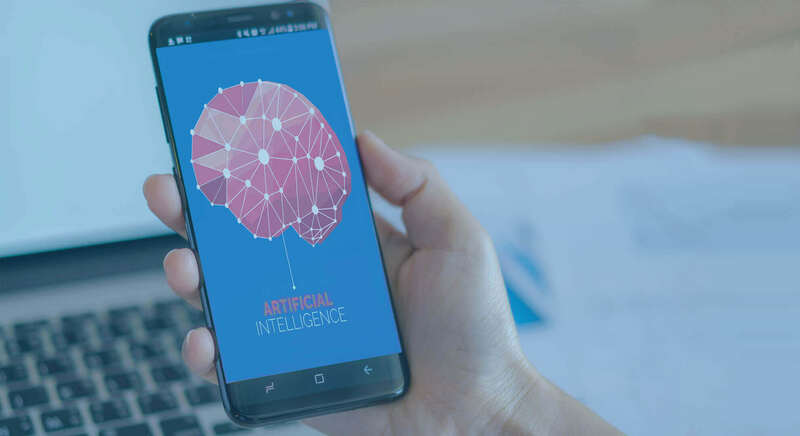 Artificial Intelligence is causing an unparalleled change in the way which the developers, companies as well as the users think about the traditional or the new age modeling algorithms as well as the intelligent interactions within mobile apps. Therefore, the role of predictive analysis or reasoning is becoming more evident, when it comes to making unique apps which are apt for the target audience.